CLOSEOUTS. 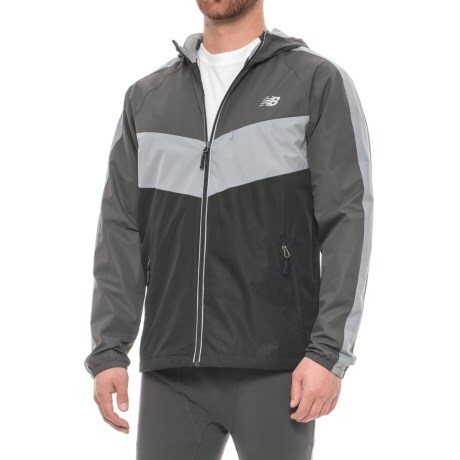 Built with a breathable mesh liner for on-the-go comfort, this New Balance Color-Block Dobby jacket is resistant to water and wind with a full-time hood for added protection. Available Colors: BLACK/MAGNET/STEEL. Sizes: M, L, XL, 2XL.